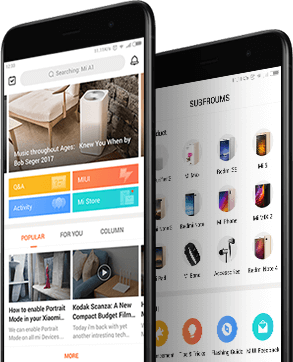 We are Mi Community, a must-have for Xiaomi users. An interactive forum by Xiaomi Inc, a leading electronics and software company founded in Beijing, China. Stop searching elsewhere, find the best answer to your question right here. You want to hear from fellow Mi Fans like yourself. Get in touch and know more about Xiaomi family. People love using our forum to give helpful advice because sharing is caring. Mi Community is alive. We create a lot of unique activities to have fun with our Mi Fans. Our iconic Mi Fan Meetups have changed people's lives in the real world because it is about a lifelong connection after all. These are hard-working Mi fan contributors in the forum, making sure our community is well-managed and everyone is happy at all times. Our free mobile app makes it even more easy on the go no matter where you are.